Flat Skewers | Patio and Hearth Co. Grill up delicious meat and veggie kabobs with these sleek stainless steel skewers! 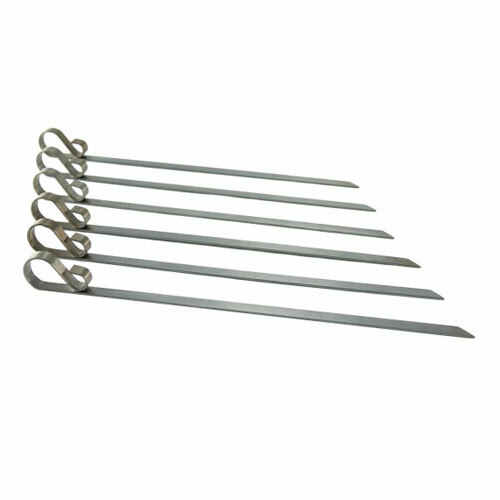 These skewers have a wider, flat design that helps to accommodate larger cuts of meats and vegetables while helping to prevent food from spinning on skewers. Built-in looped handles make for easy handling. Set of 6. Inquire about Flat Skewers using the form below.